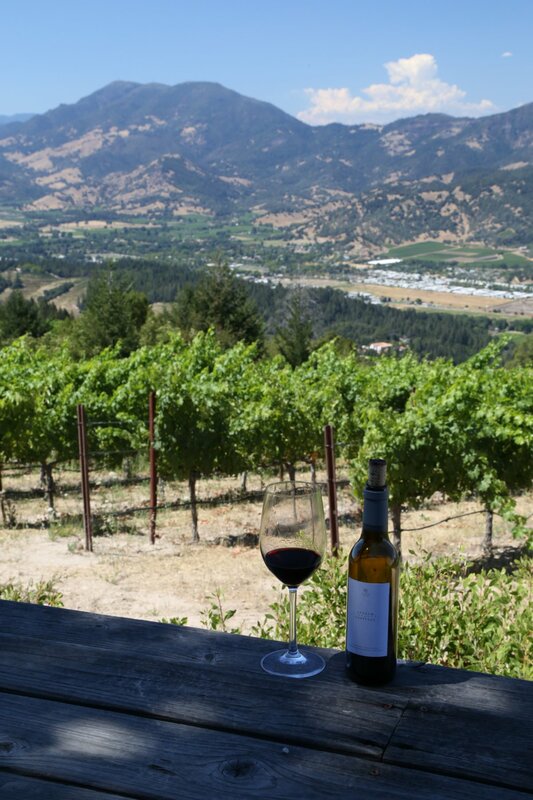 Andrew Geoffrey Vineyards is located towards the top of Diamond Mountain Road and has some of the best views in the entire northern part of Napa Valley. 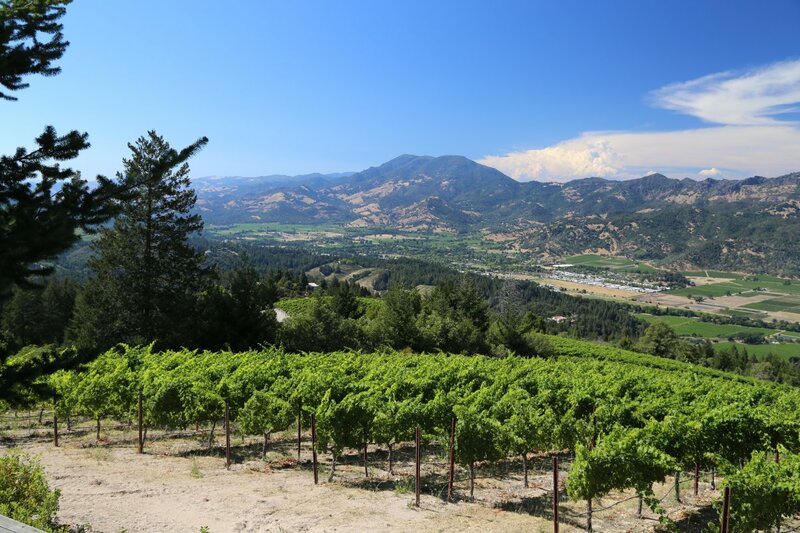 This is one of those under-the-radar hillside Napa Vineyards that only those “in the know” will ever discover. 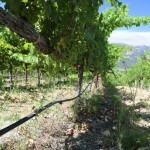 This site is vineyard only as there is no winery located here – rather the wines are made at a small winery in the southern part of the valley. 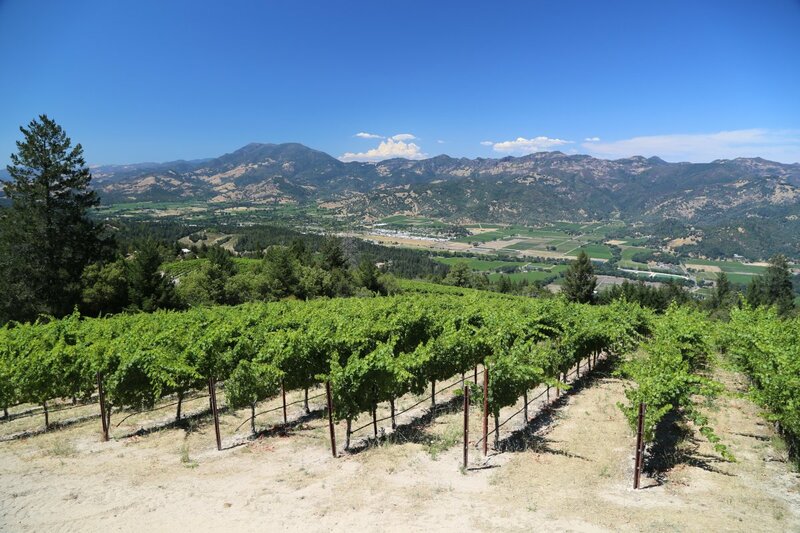 This vineyard is predominately planted to Cabernet Sauvignon with smaller quantities of the lesser used locally Bordeaux varietals including Cabernet Franc and Petit Verdot. The name of the winery comes from the first names of the owner Peter Thompson’s two sons. Visits are for collectors and serious wine enthusiasts and are always conducted with Peter. 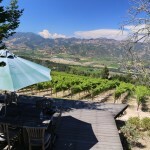 Typically you will meet him at the intersection of Highway 29 and Diamond Mountain Road and then you will proceed up the mountain to his actual vineyard. 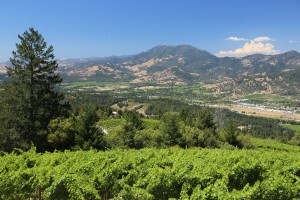 This is the only mountain vineyard in Napa that we have visited in which you have to hike on a well cleared trail among the brush to actually reach the vineyard. 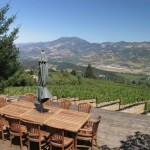 Once here, you can relax on the 1000 square foot redwood deck. 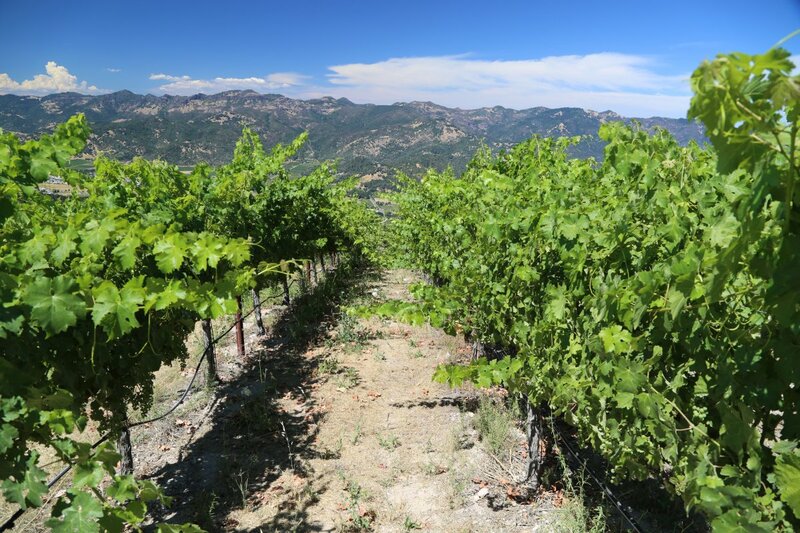 The 13+ acre vineyard sits at almost 2000 feet and does receive some snow each year. One year there was enough snow to take sleds down the hill in between the vine rows! 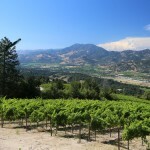 Peter first fell in love with the Napa Valley while attending college at USC in Los Angeles. During a trip north in 1973 to attend a USC Stanford football game (which for you football fans, USC won the game in a 1 point squeaker), his friends took him north to Napa for some wine tasting. Knowing next to nothing about wine he soon became taken in with the industry. 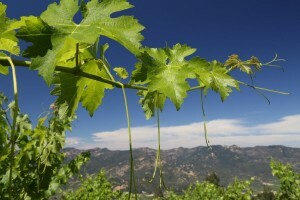 His career path was outside the wine industry until 1999 when he retired from law in San Diego. During the mid 1990’s he spent 2.5 years looking for a prime piece of hillside Napa property before settling on the totally undeveloped brush covered land on some of the highest slopes of the Diamond Mountain Appellation. 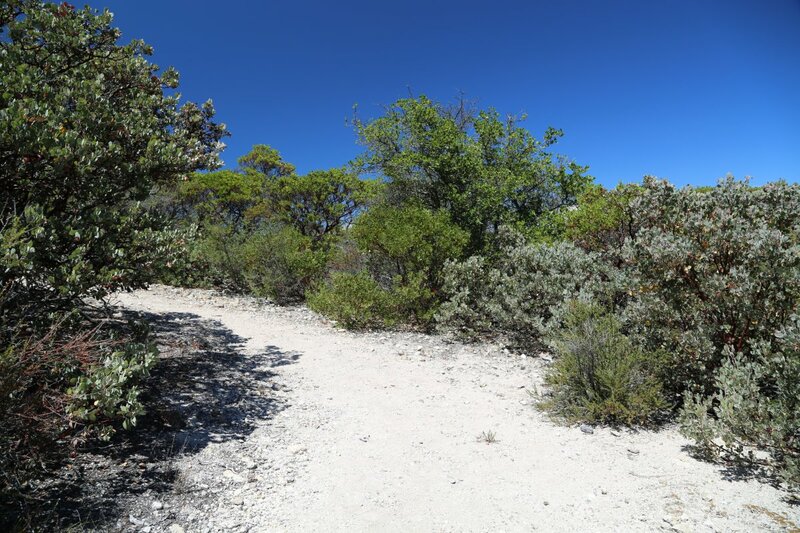 He remembers visiting the property – walking down a brushy fire road and seeing glimpses of the valley far below through all the trees but having no idea of the spectacular views from here until he actually cleared the land for the vineyard. 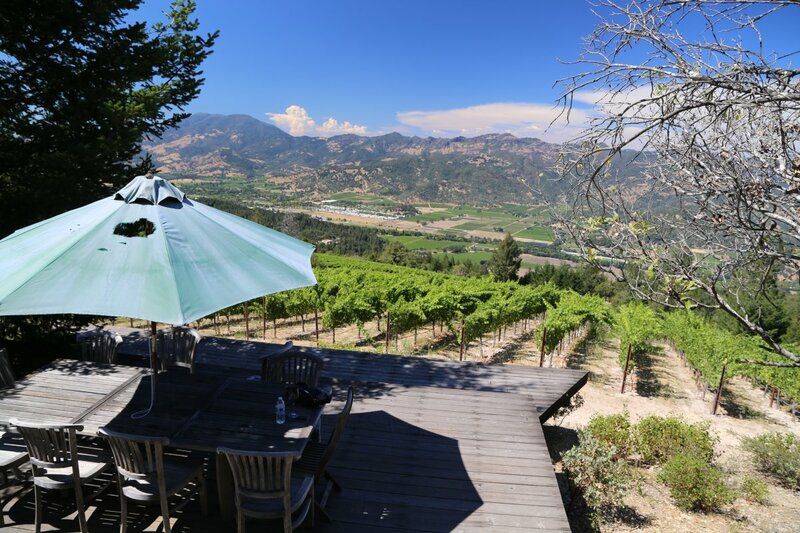 The trail to the vineyard is short and ends at a deck that affords one 180 degree views of the Napa Valley and nearby mountains including the tallest, Mt. St. Helena. 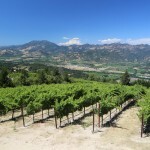 This is about as personal a vineyard experience as you will find in Napa Valley. 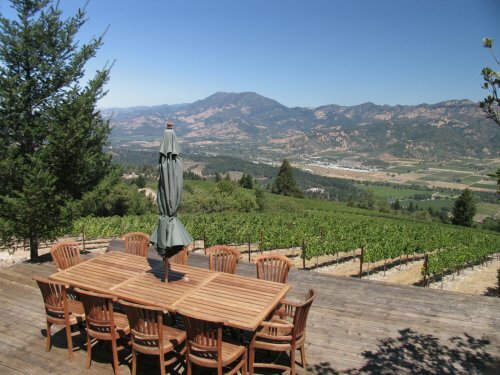 This winery produces one primary wine each year – a delicious Cabernet Sauvignon. This wine will always be predominately Cabernet Sauvignon based but the other varietals in the blend will change depending on the vintage. Single varietal productions of Cabernet Franc and Petite Verdot are only available to club members as these are usually produced in quantities of only 25-50 cases each vintage. 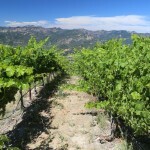 Several clones planted on this hillside vineyard and during the wine making, each clone is treated separately. As a result, the individual clones are fermented and aged apart from each other – this gives the winemaker additional options when putting the final blend together. 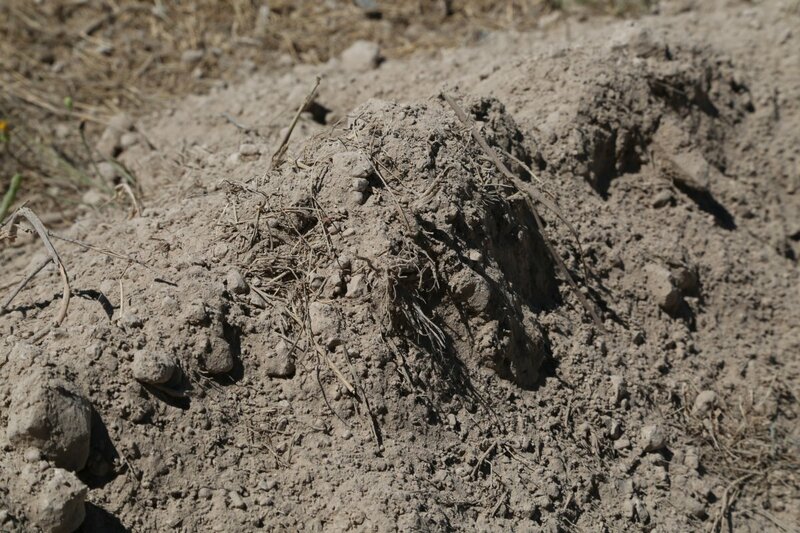 For instance if there is a block of the vineyard that isn’t up to their quality standards, it will be left out of the final blend. The wine has a loyal following. 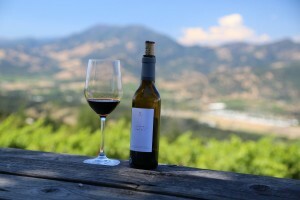 It tends to receive a bit more age then many wineries’ current releases and as a result you will have a unique opportunity to taste older releases. We tried the 2003 vintage. 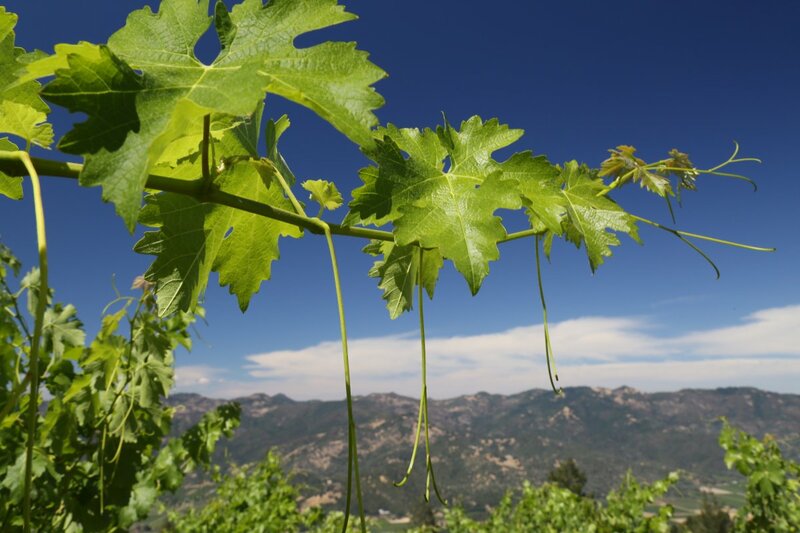 It has a solid backbone, rich in black fruit including cherry with a wonderful smooth mouth-feel. 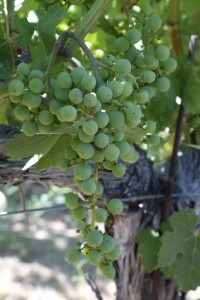 It is what you expect of premium Napa area hillside grown fruit. 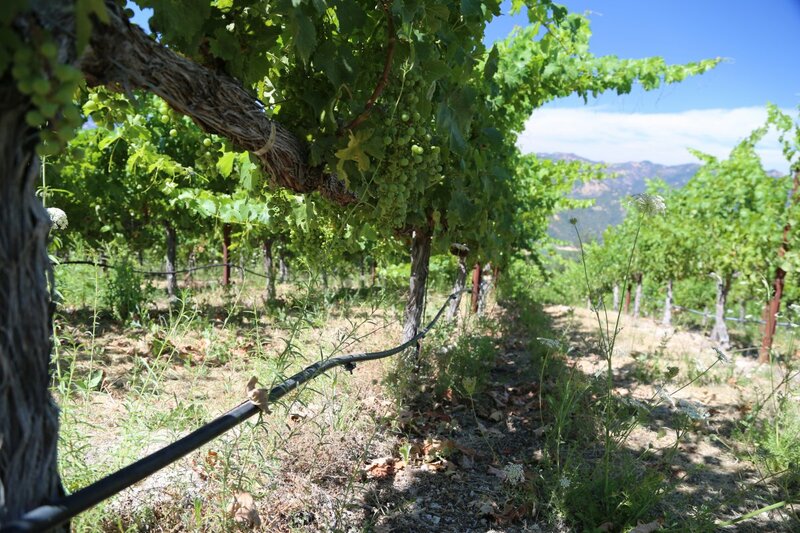 Peter also has a background in geology and each part of the vineyard was carefully planted based on soil type in relation to which varietals would grow the best. 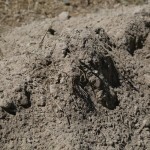 His vineyard is composed mostly of Tuff and Tufa along with a smaller percentage of volcanic ash (hence the whiteness of the rock and vineyard soils). 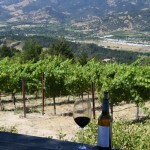 Inquire about the special vineyard visits – either a lunch or dinner is prepared by himself (seasonally). We had a peak at his menu and the entrees are sure to make your mouth water from the Gran Padano Italian cheese to the dry rubbed Chateaubriand to a delicious salad (the recipe created by his son who has studied at the Culinary Institute of America). These private lunches are available by appointment from mid July through the end of October. Peter has hosted special wine, food and travel cruises for several years focusing on specific regions within Europe. 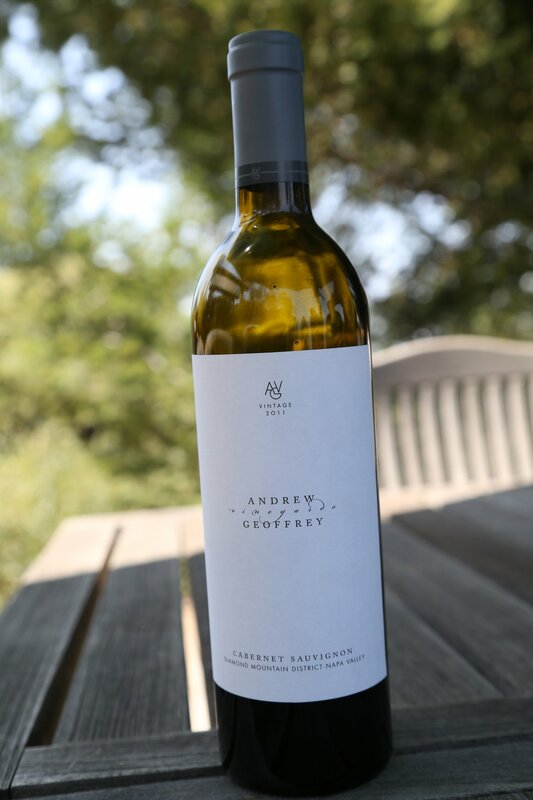 These are small river cruises – the focus of the wines on board are select vintages of Andrew Geoffrey. Guests also can choose to accompany Peter on pre and post trips either before or after the river cruise.